If you like Winnie the Pooh and cooking then you can really use this Winnie the Pooh cutting board. The cutting board is made from wood and is cut in the shape of Winnie the Pooh and a pot of honey. 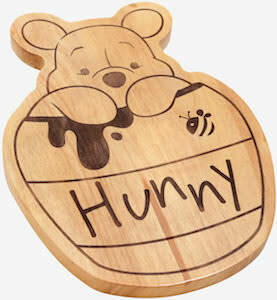 And as Winnie the Pooh and the honey is printed on the wood it really looks stunning as you really feel like you are cooking with Pooh and using his hunny on your food. The Disney cutting board is 8 3/4 x 11/1/4 inches making it the perfect size for most kitchen needs from cutting your vegetables to maybe a fish or meat. If you like mix tapes and Guardians of the Galaxy then this cutting board is what you want. 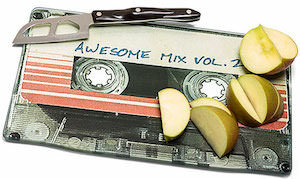 This is a Guardians of the Galaxy cutting board that looks like the “Awesome Mix Vol. 2” tape from Star-Lord. The tape does look bigger as it is a cutting board that measures 12 x 8 inches. The cutting board is made from glass and has rubber feet and is just perfect for having in your kitchen ready to cut those vegetables and other foods. Besides, in the kitchen, you could choose to use this Guardians of the Galaxy cutting board as a decorative piece in the office or living room. If you like Negan from The Walking Dead then this bamboo cutting board is what you should check out. 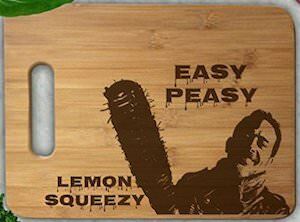 The cutting board shows a picture of a happy looking Negan and his bat Lucille and it also says “Easy Peasy Lemon Squeezy” and those words seem to be dripping and we can only hope that it is from lemon juice, not the blood of Glenn. The Walking Dead cutting board is 9 x 12 inches and great for cutting meat and vegetables and I would not suggest using a bat like Lucille to prepare your food on this cutting board. If you are a fan of The Walking Dead and like to cook then this The Walking Dead Terminus cutting board is what you need. 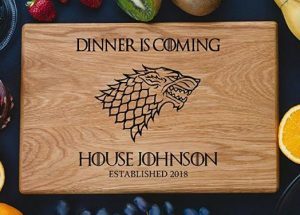 The cutting board is 11 x 15 x 1 inches and is available in many different wood kinds so that you get the amazing cutting board you want. 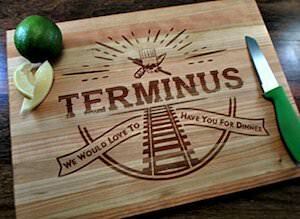 On the wooden cutting board, you can see the railroad leading to Terminus and there is a banner that says “We would love to have you for dinner” and by now you know that they take this literally. So time to cut the meat and eat all thanks to this The Walking Dead cutting board. 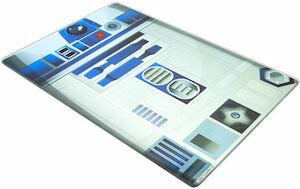 Now there is a Star Wars cutting board that looks like R2-D2. This glass cutting board is 8 x 11 1/2 inch. The glass also has the image of R2-D2 on it. The famous white and blue droid just looks stunning on the glass. Now you can cut your vegetables in Star Wars style all thanks to this special cutting board. 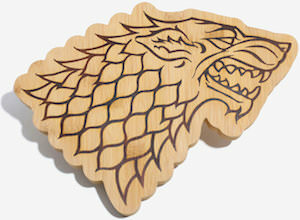 I am sure this cutting board would look stunning in your kitchen. 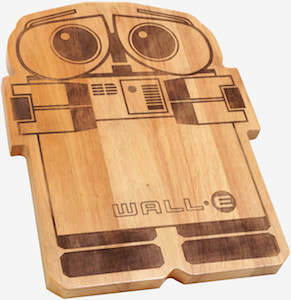 We all deserve a quality cutting board and this Star Wars one could be the one you need.